By: George.Chatzigeorgiou March 15, 2019 0 Comment. 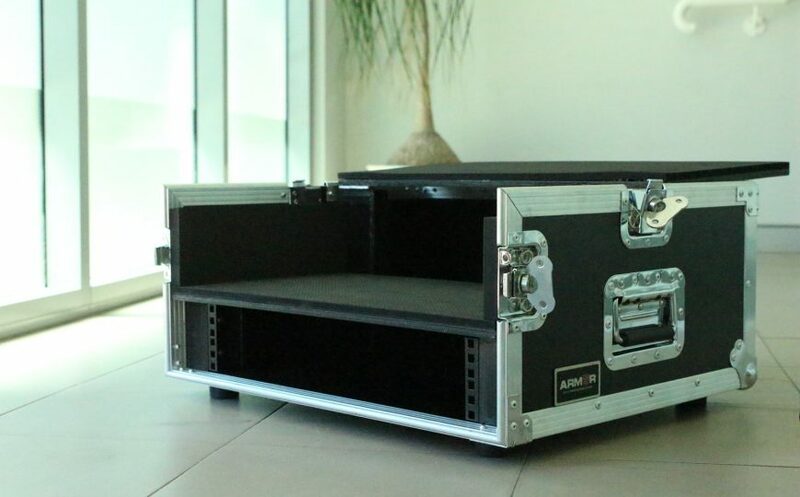 This heavy-duty road case is for L. Hannon, for his Numark Mixdeck Express DJ Controller. 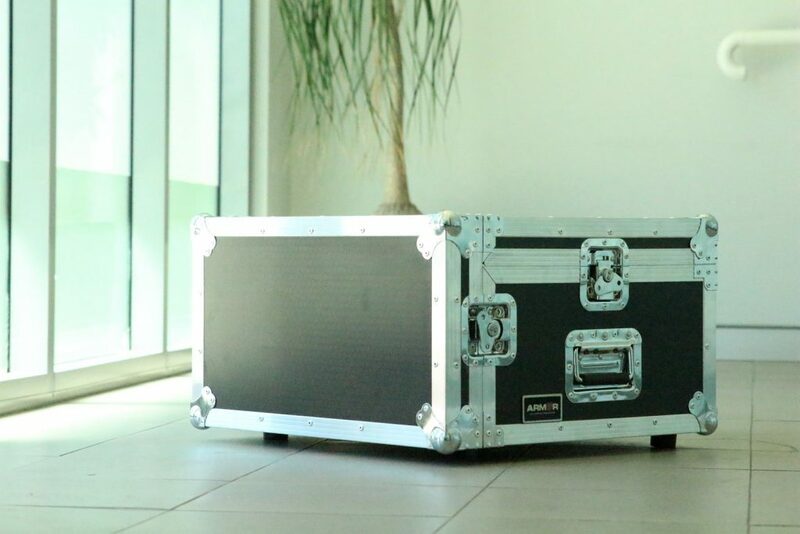 It is robust, made of plywood with black PVC finish and aluminum extrusion for good strength, plus the inside is lined with EVA foam. 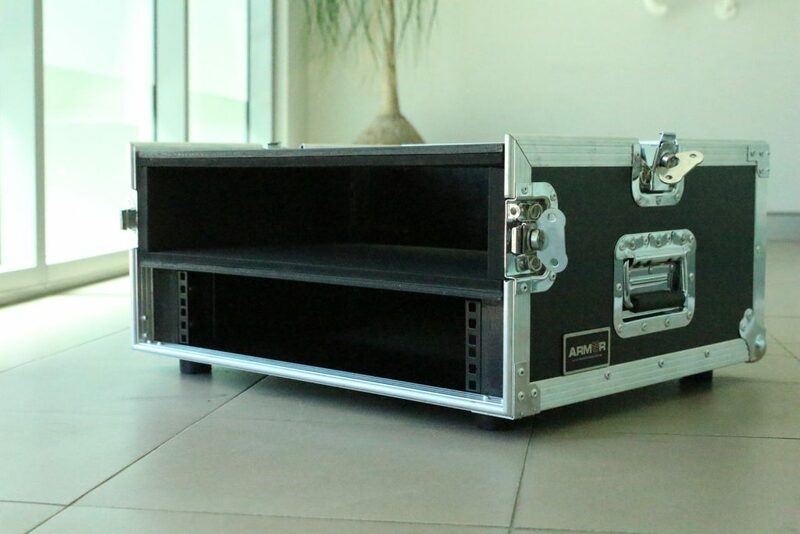 The case has a fold-out shelf on the top that the Controller can sit on and underneath, there are 2 racks for extra equipment. 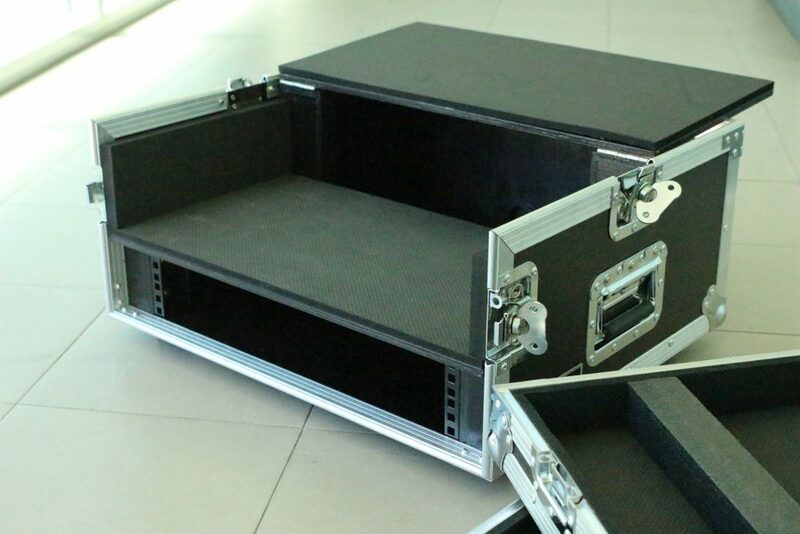 In addition, we implemented a lift-off lid, so that the user can have easy access to his gear.